Contrary to popular belief, you don’t have to flock every plant within a country mile of your front door, cover every inch of your home in twinkling lights, or even time your lights to a festive Trans-Siberian Orchestra tune. Let’s just not, ok? For those of you who want to spruce up your abode this winter without breaking the bank or compromising your sanity, I have an easy solution—paper bunting. Bunting is a simple and chic way to decorate an awkwardly shaped or bare space at any time of the year. At the holidays a garland of mixed William Morris-like patterns can give your space a chic, festive flare without an infestation of glitter. If you were to buy a pre-made garland online, you would expect to pay from ten to twenty dollars for a single string. However, with a little planning, you can create bunting that is customized to your space for less than $5 for two strings. Step 1: Find a template online to suit the shape(s) you are looking to string on your garland. These templates are fairly common and a search of Pinterest should direct you to a number of them. For my own bunting I have been using this template—my directions will also be presented using this template. Pro Tip: It’s a good idea to keep all of your templates pinned to a “crafting” Pinterest board so you don’t lose any valuable links. Step 2: Print out your template onto cardstock or photo paper and use an Exacto-knife or precision cutting tool to carefully cut it out. 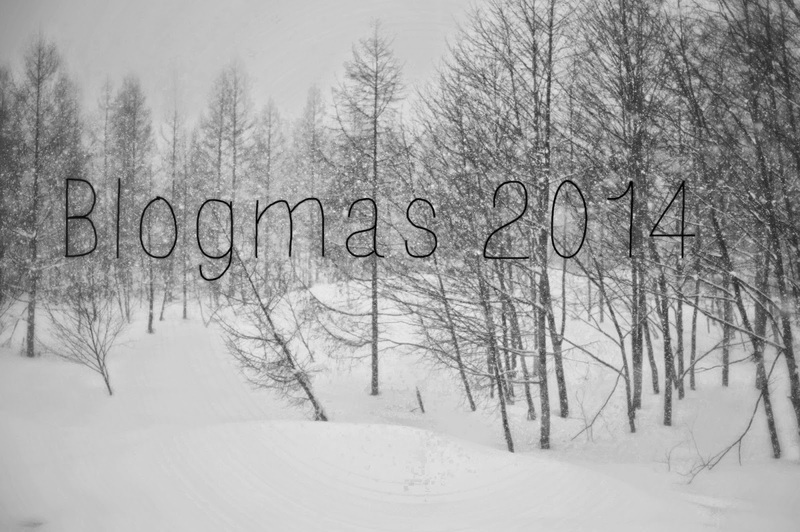 I recommend using photo paper over cardstock because it tends to slide less and has a heavier weight. Step 3: Select the sheets of scrapbook paper you would like to use for your garland. Turn the sheet upside down and trace your pattern; you should be able to fit at least three triangular shapes onto a single sheet. Step 4: Cut out your shapes using sharp scissors. Don’t worry if your cutting isn’t perfect; your garland will be seen at a distance so minor imperfections are not a disaster. Step 5: Turn your shapes over and, using a ruler, fold a small flap back against the sharp edge, creating a crease. Use the end of the ruler to sharpen this crease so that the flap lays down on its own and is not visible from the front. Step 6: Arrange your shapes in the order you would like to string them. Step 7 (Optional): Decorate your shapes with letters or designs to suit your taste. I’m personally fond of free-hand lettering or free-hand letter cutouts. You may also elect to leave your shapes blank. Step 8: Cut a piece of crafting twine that is twice as long as your shapes laid out horizontally. At each end of the twine, tie an overhand knot with a loop so you can later hang your garland. Step 9: Turn your shapes upside down with the sharp edge of the flap facing you. Hook the flap over the twine, anchoring the twine in the cease of your shape. Tape the flap down using transparent magic tape; taping down the flap will allow you to slide the shapes around on the twine to suit your taste. Step 10: Hang your finished bunting wherever you desire. 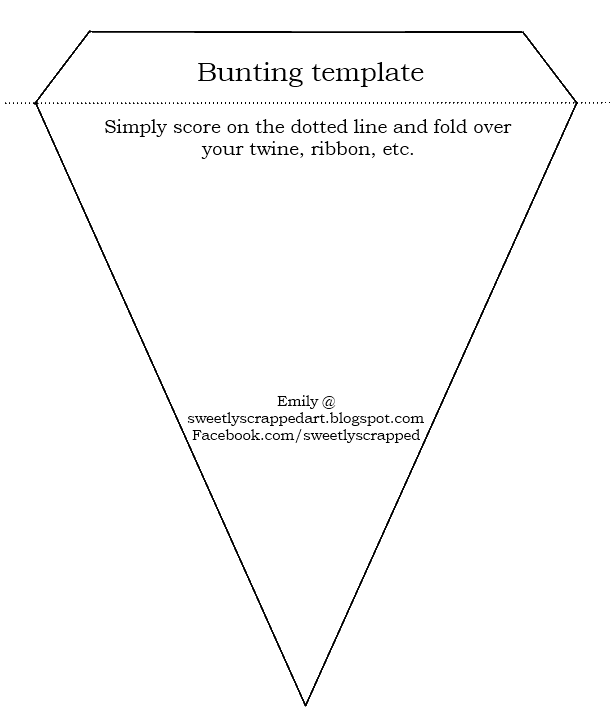 If you make your own bunting this holiday season, share a photo with me on Twitter, Tumblr, or Facebook.